Bring lightly salted water to a boil in a large pot. Add two tablespoons of olive oil and cook angel hair pasta for 5-7 minutes (cook until al dente’). Strain pasta and set aside. Heat 6 tablespoons of olive oil in a large pan. Add minced garlic and cook until lightly browned. 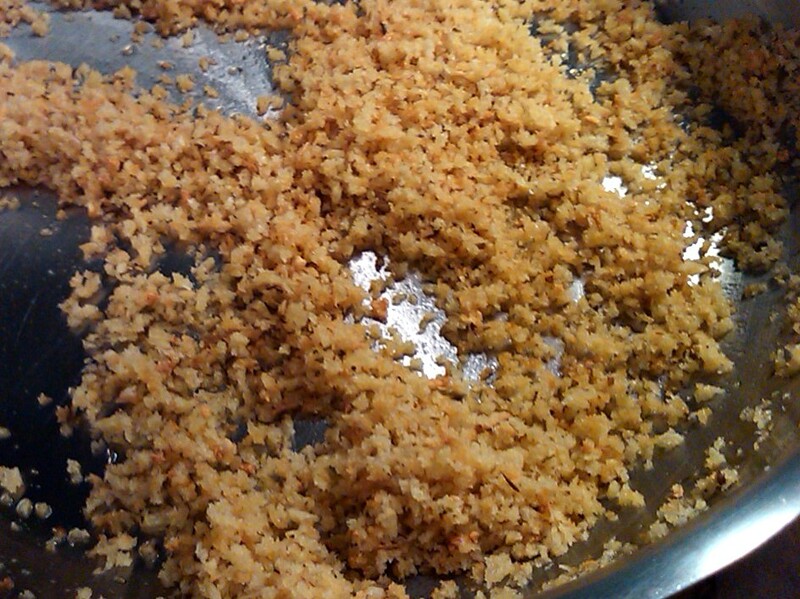 Add Panko bread crumbs and oregano and cook until golden brown (about 5 minutes). Season to taste with coarse salt and scrape bread crumbs onto a plate to cool. Wipe out the pan and heat 6 tablespoons of olive oil. 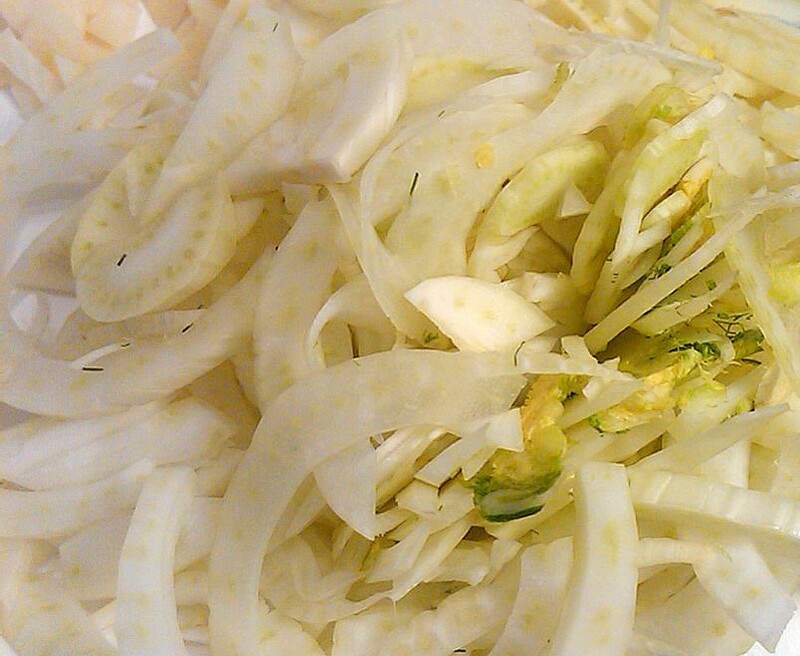 Add sliced fennel root and allow to cook through (about 8 minutes). Add sliced garlic and pepper flakes and toast until garlic becomes golden brown. Stir in white wine and butter and allow to simmer until slightly reduced. Add mussels and clams to the pan and cover for approximately 6 minutes, or until the mussels and clams have opened (throw away any that do not open). 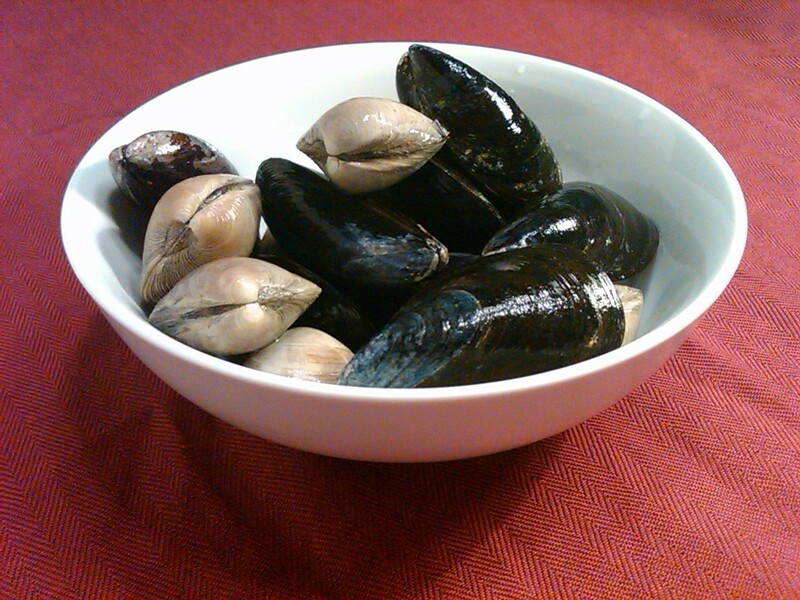 Remove mussels and clams and set aside. Add cooked pasta to sauce , along with fennel fronds, and toss until well mixed and evenly coated. 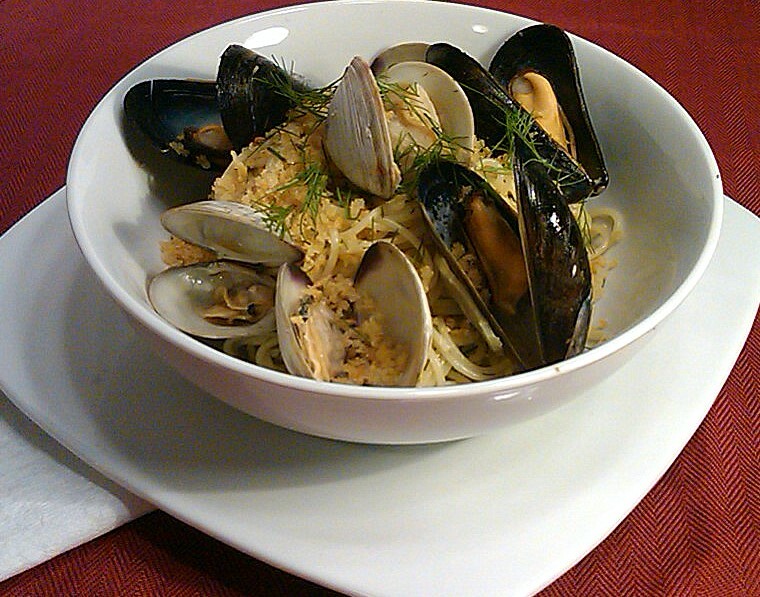 Add mussels and clams, top with prepared bread crumbs, and serve immediately. Sooo, fennel – I haven’t seen a grocery that doesn’t have fennel; however, if you seldom (or never) shop for it, it can be easy to miss because it’s often labeled only as Anise. Take a look in the produce section and you’ll spot it by it’s thick, white bulb sprouting multiple green stalks of delicate fennel “fringe”. It’s a really lovely and fragrant ingredient and for this recipe, you’ll just want to slice the bulb thinly and then use some of the fronds on top (they can just be pulled off the stalk and then roughly chopped). On of my favorite parts of this recipe is the tasty bread crumb topping, and Panko breadcrumbs are really easy to find. They are a delightfully crunchy, flaky Japanese bread crumb that stays crispy after you’ve browned them – it’s easy to burn them, though, so making sure to stir as they cook will be important. After you use these once, you’ll want to put ’em in everything!!! They’re like a Japanese version of the Midwestern Cornflake crust!